Oh So Beautiful Paper, my favorite paper design blog!!! 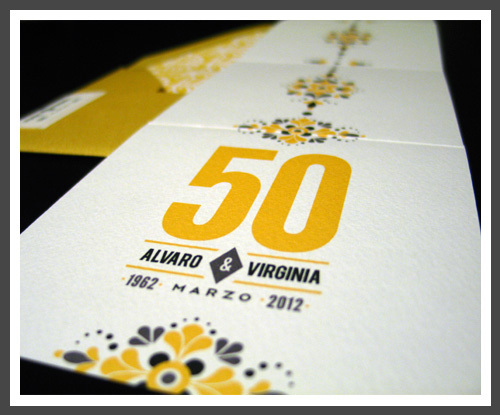 What joy I felt while scrolling through a beautiful invitation by Rifle Paper Co. on the Oh So Beautiful Paper blog and suddenly seeing a very recognizable yellow and charcoal logo...the one found on my in-law's Mexican tile-inspired 50th Anniversary Invitations. Just want to take the time to thank Nole for featuring my in-law's 50th Anniversary Invitations on her fabulous blog. They look beautiful...check them out!